We have choices from field to table. Choices in what to grow. Choices in what to eat. 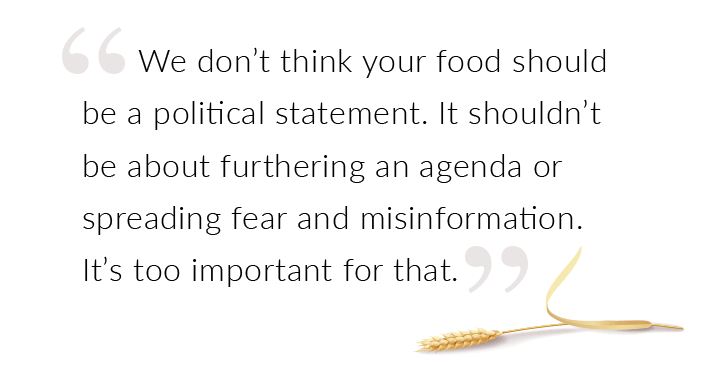 But misinformation and buzzwords can be a plateful. We’re fed a steady diet of bad information and marketing gimmicks. GMO-free, organic, natural and hormone-free are just a few of the labels we see. Want the truth? 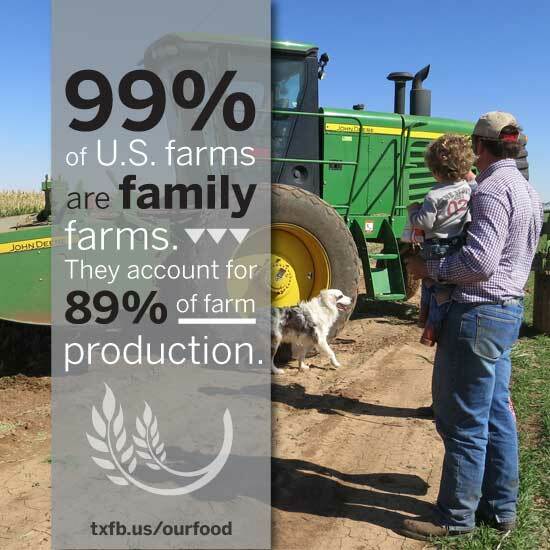 Most farm and ranch families have grown food for generations. They don’t base decisions on fear or speculation, but on scientific fact. 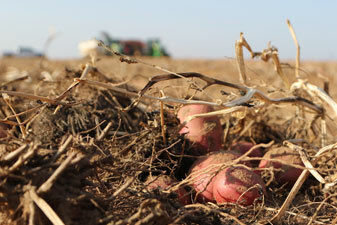 That’s why they grow conventional crops, as well as foods for niche markets. Regardless of the label—conventional or organic—our foods are safe and wholesome. Research backs it up. And farmers and ranchers are confident in that science. Things have changed on farms and ranches, though. Modern farms are bigger and more technologically advanced. The values, however, remain the same. Farming and ranching is sustainable—just as it’s always been. Modern agriculture uses fewer resources—water, land and energy—to satisfy our choices when it comes to our food, fiber and fuel. And each farm is unique. Just as people and weather are vastly different, so is agriculture. There isn’t a one-size-fits-all approach, and marketing tactics shouldn’t attack one form of agriculture in order to sell a product. Because agriculture is far from black and white. It’s diverse. It’s our past, present and future. Less than 2 percent of the population feeds and clothes us. For truth in food and agriculture? Ask a farmer or rancher. T-shirts aren’t one-size-fits all, so why should Texas agriculture be that way? Just as the people and weather are vastly different in our state, so is agriculture. Agriculture is far from black and white. There are many shades of gray in between, encompassing the farmers and ranchers and the crops they grow. From forestry to fish and fruit to fiber, Texas farmers and ranchers can grow just about anything. 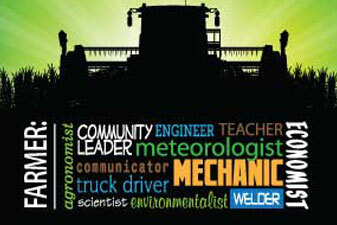 Click here to meet some of those farmers. It’s easy to become overwhelmed with buzzwords, labels and information. It can be tough to separate truth from fiction. So why not go straight to the source? You have food questions. 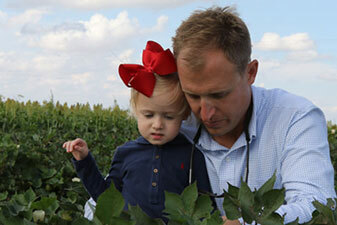 Farmers and ranchers have answers. Submit your questions below, and a Texas farmer or rancher will respond with information you can trust. Agriculture is our food, fiber and fuel. But it also generates jobs and activity throughout the Texas economy. A strong economy makes for a dependable Texas—a state that leads the nation in land dedicated to agriculture. Farmers and ranchers take care of that land—planting the seeds of our future and cultivating a brighter tomorrow. Those families are the foundation of modern agriculture. 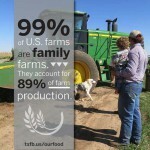 Nearly 99 percent of farms and ranches are family farms, partnerships or family-held corporations. Our food, fiber and fuel get their start on those farms and ranches, and Texas ranks at the top nationally in the production of many livestock and crops. We lead the nation in cattle, cotton, horses and sheep and goats. Our farmers and ranchers also raise swine and poultry. Fields of wheat, cotton, corn, sorghum, rice and soybeans line the roads. Texas farmers even grow cucumbers, strawberries, onions, citrus and more. Diversity is key. Like the many dairy farmers who also raise the grain they feed to their cattle. Or the rice farmer who raises crawfish, too. 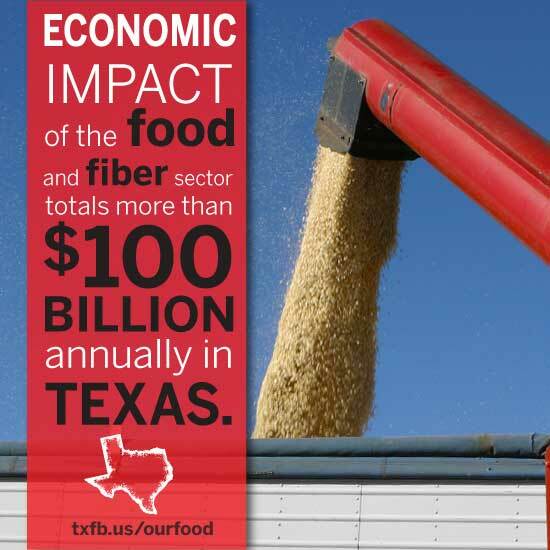 The farm and ranch products contribute about $100 billion in economic activity for Texas. 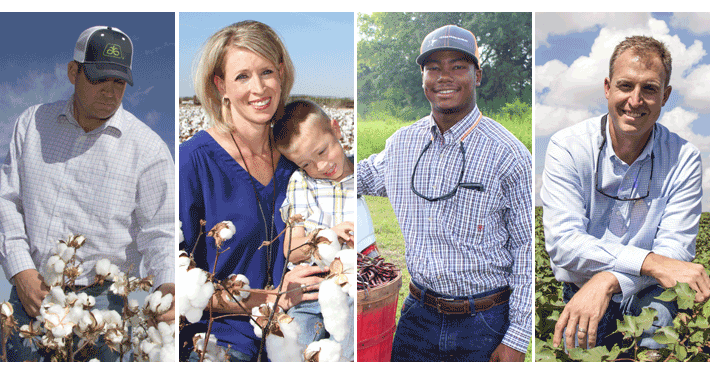 We all benefit—grocery store shoppers, local businesses and the one in seven Texans who depend on agriculturally-generated jobs to provide for their families. Efficient. Tech-savvy. Diverse. 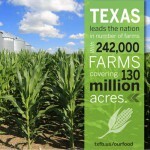 Modern agriculture fuels Texas and helps grow our U.S. economy. We depend on a strong agricultural economy. Farmers, ranchers and Americans need stability. The farm bill provides that. It protects what we have—our land, resources and the people who tend the soil and care for our livestock. The farm bill strengthens rural communities, opens trade doors and helps ensure safe, affordable food for all Americans. The farm bill is a food bill. 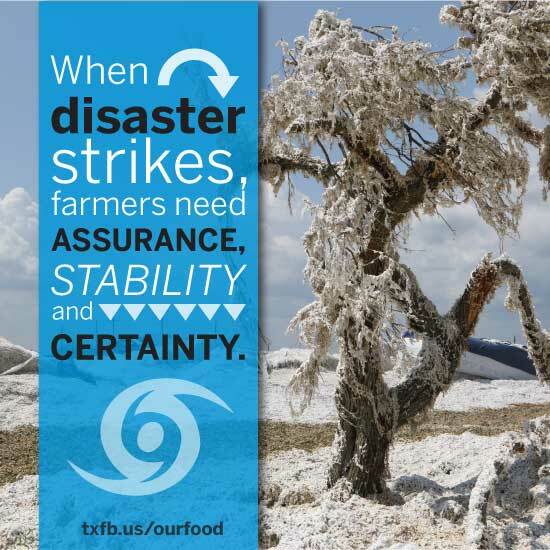 It helps shield farmers from risks and keeps food in our pantries. It’s security and peace of mind, because farming and ranching is unpredictable. 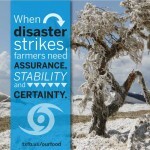 Volatile markets and Mother Nature can lend devastating blows. But the farm bill helps growers and helps us, because growing our own food makes our nation more secure. It’s our farm bill. Our food bill. Our security. Buzzwords, eye-catching phrases and marketing tactics—some are designed to spread fear and misinformation. But when it comes to food, let facts be your guide. Learn more about genetically modified foods at GMO Answers. Dig into food information with Best Food Facts. And learn how the farm bill impacts more than just farmers at agriculture.house.gov/farmbill/ and farmbill.farmflavor.com/. Use the “Our Food” lesson plans in your classroom. And help your students make a connection to agriculture. 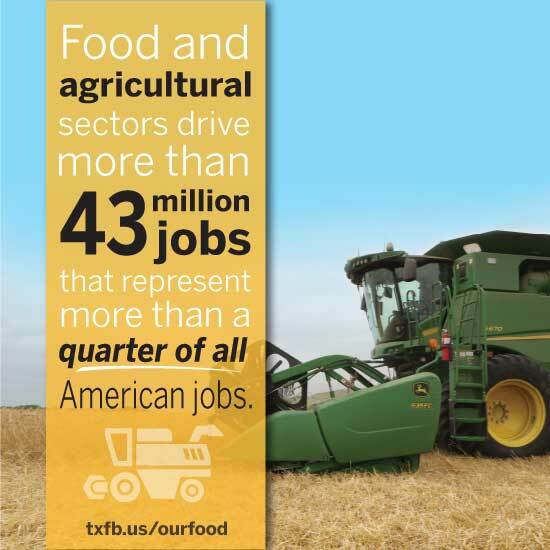 Help us share the importance of agriculture by going social with our graphics. All you have to do is click on the graphics below to download.